CAP Saifan Trad­ing EA is a ful­ly auto­mat­ed Expert Advi­sor for Forex trad­ing that uses range break­outs strat­e­gy. This EA is designed to trade EURUSD which imple­ments a com­plete and ful­­ly-func­­tion­al trad­ing strat­e­gy. This EA will need a good bro­ker with small spread to work suc­cess­ful­ly. Tri­an­gle Arbi­trage is a tick Expert Advi­sor designed base on tri­an­gle arbi­trage, simul­ta­ne­ous trad­ing on three sym­bols. Mul­ti Price Scalper EURUSD is a scalper Expert Advi­sor trad­ing only on EURUSD, based on strate­gic analy­sis of prices of 5 sym­bols: EURUSD, GBPUSD, EURGBP, AUDUSD, EURAUD. This Advanced Expert Advi­sor ben­e­fits of many years in Forex mar­kets research and soft­ware devel­op­ment, it’s an improve­ment of our pre­vi­ous EA Fol­low­TheTrend (which was mono cur­ren­cy). 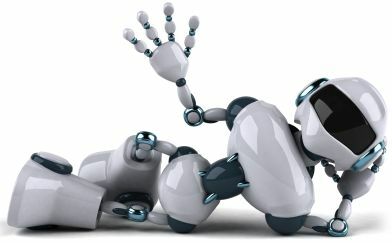 The Glob­al Pat­tern 5 EA is a mul­ti-cur­ren­­cy robot which trades on M30 and makes about 10 trades per week. Trad­ing based on the “dou­ble bot­tom” pat­tern. The Expert Advi­sor trades accord­ing to Pin Bar pat­tern on H4-D1 charts. The EA has two dif­fer­ent trail­ing stops “ by points and extremums, as well as two stop loss types “ fixed and dynam­ic. Dynam­ic stop loss is placed at the candle’s High or Low depend­ing on the pat­tern direc­tion. The EA trades based on two price ranges. Trad­ing is based on a set of sim­i­lar indi­ca­tors. The EA trades at a sharp price move­ment. Trad­ing based trend con­tin­u­a­tion and rever­sal pat­terns.